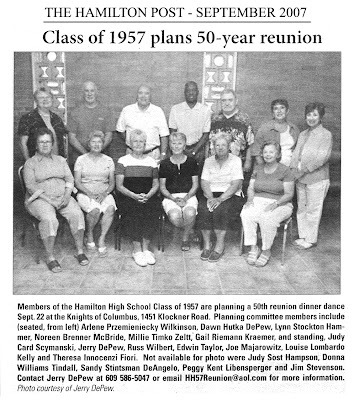 HERE'S A PHOTO OF HHS '53,ONLY TWO YEARS REMOVED FROM MY CLASS OF '51.MANY OF THESE HORNETS ARE FAMILIAR TO ME AND I DARE SAY TO MANY OTHERS FROM THE EARLY 50'S. 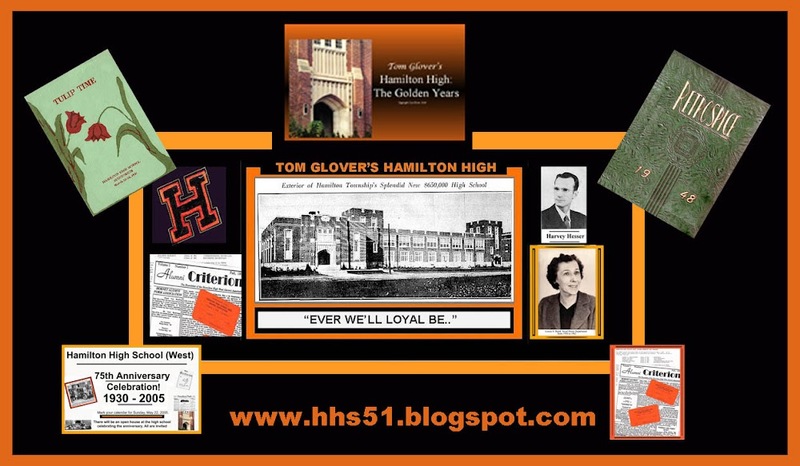 BROTHER DON GLOVER'S CLASS IS SET TO ENTER THAT SELECT GROUP OF HORNETS WHO CELEBRATE THEIR 50TH HIGH SCHOOL REUNION. 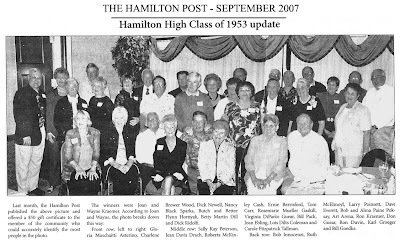 HERE'S A PHOTO FROM THE HAMILTON POST SHOWING THE MOVERS AND SHAKERS FROM THAT CLASS.